My nephew and niece visited last Friday. Simple lunch, kids played a bit and got my sister to talk yarn and pattern. These two are just adorable, aren’t they? Isabelle didn’t have anyone in her age range to play with so she was playing blocks with the boys. 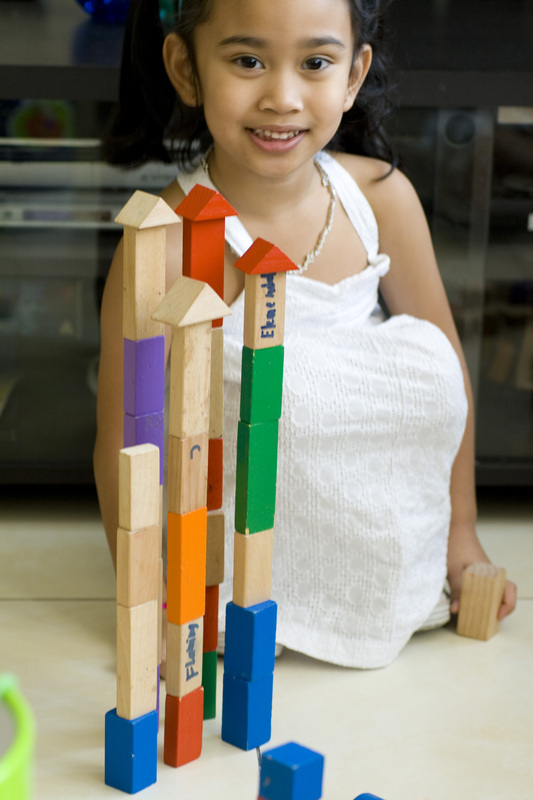 But she managed to build the tallest structure among them even though it was so thin and rickety! Okay so this is WIP-tastic Monday v.9.0 where I bring you this awesome worsted merino yarn chosen by my sister for my next project. 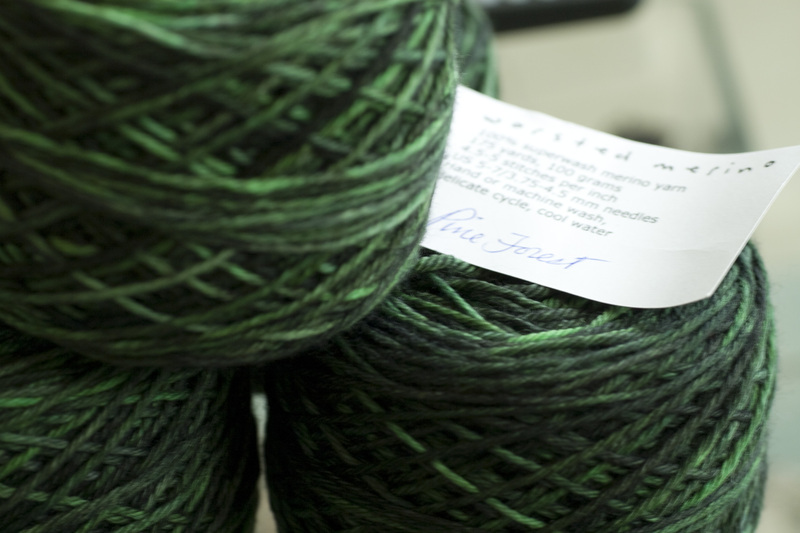 This is Pine Forest in Sundara’s superwash worsted yarn…so soft and smooshy. My sister settled for Stefanie Japel’s Lemongrass Cardigan which I will be modifying to suit her specific requirements. The raglan increases has commenced. I hope to finish this before or in time for my sister’s birthday in 28 days. 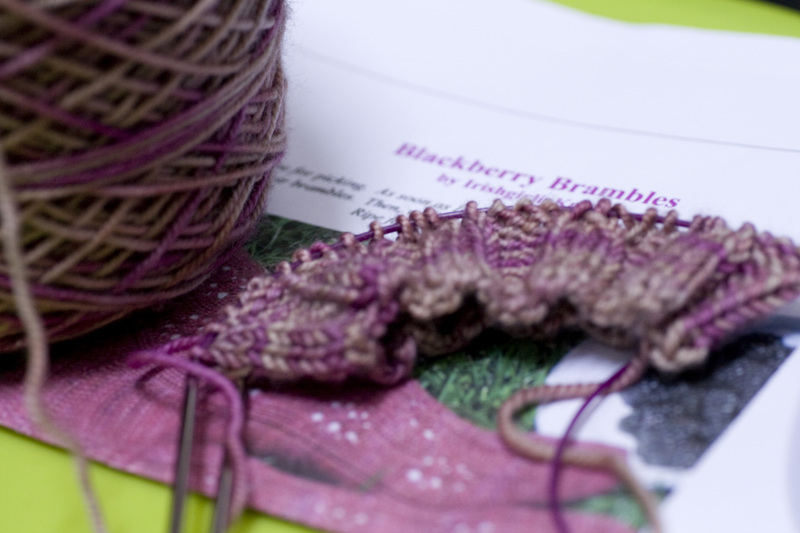 And I finally cast on my pair of Blackberry Brambles! More knitting expected this week so hopefully this will be finished soon too. I missed working with STR for socks. That cardigan is going to look so fantastic in that amazing green! Good choice!! 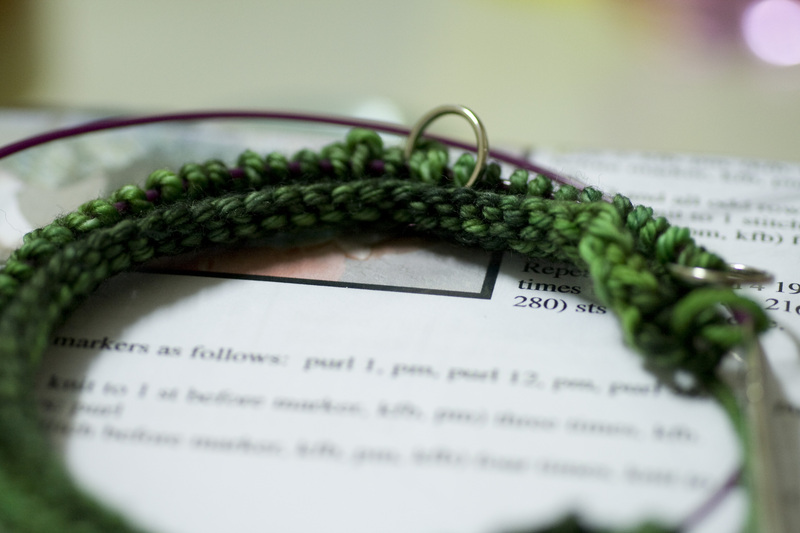 I’m still crying about it – that yarn was supposed to be for me! But now I’m thinking of doing a stripey cardi with the two lots of worsted colourways I have left.